This guide will show you how to set up tracking for your paywall using Google Analtyics Events and our paywall Action Functions. The reason why you would want to use this is to make sure you know exactly where the most valuable traffic came in from so you can spend your money and efforts on the right things. Here’s an example of what your code would look like with the InPlayer paywall inject combined with Google Event tracking. To see the basics and what functions are available, please read through the documentation for the paywall Action Functions. 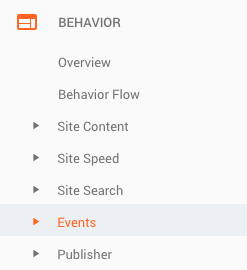 You can send in any events you like into your Google Analytics data, but some things might be more relevant to track than others. You can see all the events you can track in our Action Functions overview page. Our example below will show you how to add events for when someone clicks the buy now button and once a successful payment goes through. In our example we’ve added a value of 20 USD to the purchase, but you should change this to the value of your sales.